Whether you’re part of the debate team or just like being right, there’s no denying that winning an argument can make you feel pretty good. After all, no one likes feeling the fool at the end of a heated discussion. Luckily, researchers have long looked into the different tactics you can use to win an argument; something that most politicians have clearly studied over the years. If you want to win the next argument you find yourself in, here’s exactly how to do it. You cannot go into an argument without knowing the facts, or it’s going to be an easy win for your opponent. If you know you’re going to have a debate or discussion on a particular topic, make sure you do your research beforehand. Look for cold, hard facts that can be backed up by research or statistics. Of course, this is much easier to do if you know what you’re going to be arguing about, or if it’s an argument happening online. However, you can always run off to the bathroom and do some Googling if it’s a debate that has come out of the blue. Whatever you do, know your facts! Or at least seem like you’re being open-minded. You’re going to have to be ready to see the other person’s perspective in an argument and then show that you understand their point of view. If you want to win an argument then you cannot become defensive; it’s one of the quickest ways to lose. Let your opponent know that you’re open-minded to alternatives and that you’re considering their point of view. You’re far more likely to win an argument if you seem as though you’re open to another solution. The worst thing to do is bring emotions into an argument. If you want to win, stay calm. 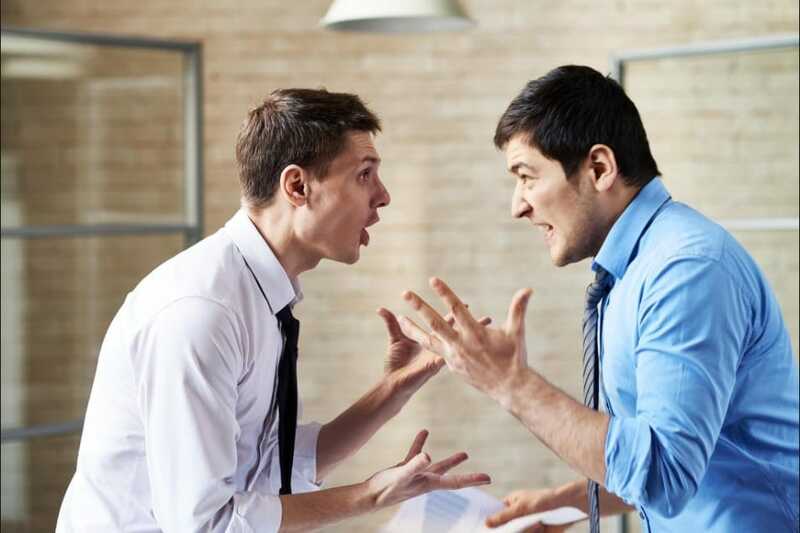 If you lose your temper during a debate, then your opponent will be far less likely to listen to your point of view. This can rile the other person up, and they’ll be far more interested in ending this argument on a win. However, if you stay calm and keep your voice low, then your opponent will believe you’re being rational; making them far more likely to listen to what you have to stay. The next time you’re in an argument, keep as calm as possible and don’t let your emotions ruin what could be a good point. At the end of the day, you’re not going to be able to win every argument. In this case, you’re going to want to look for a win-win situation – a kind of ‘agree to disagree’ ending. If you can get your opponent to at least agree with some of your points, then it’s important you agree with some of theirs too, unless they’re completely wild and against your values. However, if they come to you calmly with backed up research on a point, then you should at least give them that. Sometimes you have to give a little to receive anything in return. Hopefully, you’re not getting into arguments regularly enough to warrant this advice daily (unless you’re a debate master or politician). However, the next time you know there’s going to be a conflict of some kind, use these smart psychological tips to get your opponent on your side. What is it like to be a middle child?